Jersey City, NJ (October 12, 2007) — Melih Abdulhayoglu, CEO of Comodo, a leading provider of security solutions, was featured in an exclusive interview on ComputerAmerica on October 8. The interview covered a range of topics such as desktop security technology, growth initiatives and product milestones. In addition, the interview discussed Comodo's release of its upcoming version 3 of its award winning firewall solution. During the interview with Carey Holzman of Craig Crossman's ComputerAmerica, the longest running syndicated computer show, Mr. Abdulhayoglu discussed how Comodo has been actively working to make the Internet more secure at no cost to consumers. To hear the interview in its entirety, please visit download.comodo.com/ComputerAmerica/Oct8-2007.mp3. Carey Holzman: Welcome back to the show. Melih is with Comodo. When you were here last time you were speaking about Comodo firewall version 2.0? Melih: And now it's Version 3. It's in beta now and it's going to be released very soon. Carey Holzman: So where shall we start. Melih: Well let's start with when its going to come out first. Carey Holzman: Is it out yet? Melih: It's out in our forum as a BETA version. People can go download it and play with it. Carey Holzman: This new firewall would include HIPS. What does that mean if it is going to include HIPS? Melih: The name of the game now is prevention not detection. Detection is dead -- long live prevention and that's what we are going to talk about today. Detection is good but now it is all about prevention. You know it's like having a burglar alarm that only recognizes certain burglars. There is malware which we do not know about - and these unrecognized viruses go through without notice and that's why we have a huge problem. The days of the anti virus, and the way we fight viruses are, well, gone and dead. We have to start preventing malware. There are 3 steps that one has to follow: Prevention, Detection and Cure. Just like you have a house with a door. The door prevents people from coming in and then you have the burglar alarm in case the door breaks down. Then, you have insurance if both fail. We need to start bringing that into computers. Today we only have a half working burglar alarm. That's called the anti virus unfortunately. Carey Holzman: Well, I like your analogy there. Melih: I am looking at a site, VirusTotal, that reports on malware. In the last 24 hours, there has been 18,135 new malware and only 2 of them have been detected by at least one anti virus engine. So what happens to the rest - they get onto your computer without being detected. And that's what we want to change. Carey Holzman: It definitely needs to be changed because, look, viruses are not going away. Melih: It's exactly the point. I mean look at it. Now your computer has to check all the files you have in your computer - literally 10's of 1000's of files to see if any of those files have viruses on it. Carey Holzman: It checks forever. It does not work very well. Melih: Checking for virus once they are on your computer is a losing battle. So the current default allow system is bad because it will let anything in and then check whether it is good or not. No! No! No! We have a new system now, it's a default deny. I will deny until you've proven to me that you are good enough to get in and that's the difference. And that's the difference we are going to make. 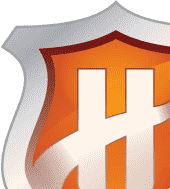 Carey Holzman: Why can I not just use my Windows firewall, why is it not good enough, why should I get this new firewall from Comodo. Melih: Well the problem with Windows firewall is it does not prevent attacks. It detects some of that but it does not have good outbound capabilities. What I mean is when there is a malware in your machine you need to know if it's making a connection to the outside world or not. A firewall which has good outbound capabilities provides that to you. It tells you, "hey there is something here in your machine making a connection to the Internet" and that is very very valuable information. That alerts you and stops you from doing something wrong. Carey Holzman: It's like a coin toss where they allow or not. It is almost random whether to allow it or not. How does Comodo deal with this? Melih: Well that's a big big big area. I mean Comodo deals with this by creating the world's biggest safe list. What we have done is we have a team of people whose job is to simply identify what is a good file and what is not a good file. We've got a database of under a million good files now. Carey Holzman: Known good files. You recognize them and you know that they are safe. Melih: Correct. And by that way, we do not bother the users by asking that. So we prevent Pop up Fatigue. Pop up fatigue is going to be the thing of the past with version 3 of Comodo firewall. We only ask the user if we do not recognize the file. And as we continue to update our database, it will recognize more and more files. Carey Holzman: Well I am glad to hear to that. Carey Holzman: Let's talk about the ways people are getting infected now with the drive by download attacks. Melih: I mean sometimes you just visit and don't even click on things and the site executes a Buffer overflow attack. What that means is that it finds a vulnerability in your system or browser or messenger system and it injects the code straight into your machine without you even knowing about it. Drive by download attacks are the biggest problem that we have today, one of the biggest threats. Carey Holzman: Let me ask you this. If someone has Comodo Firewall - are they safe? Melih: Very much so. 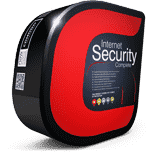 But the beauty with our version 3 of our firewall is once you have it you can almost certainly bet your bottom dollar that you are not going to get malware. Carey Holzman: That's a pretty big statement. Say it one more time for me. Melih: Once you have our version 3 of our firewall, unless you disable it you are not likely to get malware into your system. Carey Holzman: That's a bold statement. I got some customers that have a gift for getting themselves infected and I know they would be perfect to see if it actually does what you say. Melih: The reason why we can say such a bold statement is because the way we protect PCs is changing now. 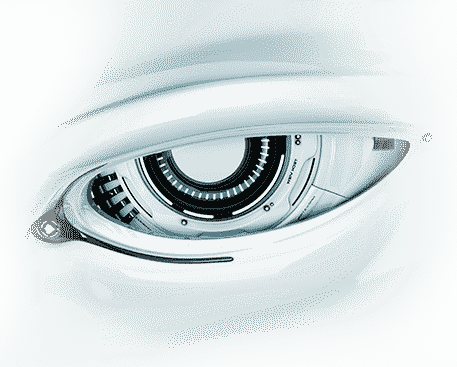 What we do is only allow good applications to execute in your machines. It's just simple as that. If we don't know an application, we simply do not give it access to your CPU so it can not execute and get installed on your machine. It's as simple as that. Carey Holzman: I got to tell you. It sounds fantastic. Carey Holzman: Now our listeners want to know how you can give it away for free. Melih: Well the thing is we wanted to build our brand and we thought about it and we said we could give away a free pen. But we thought, hey that's old news. 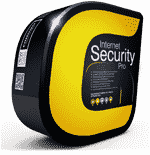 Why not make worlds best firewall and give that for free and lets see which one increases our brand awareness. Guess what - the firewall did. The idea is about building a trusted brand for Comodo. Carey Holzman: I think you doing a great service for the Internet community at large and keep up the great work and thank you so much for joining us again. Melih: Thanks a lot and have a great day. To download the current version of the free firewall, please visit personalfirewall.comodo.com. Or to get a download of the new version (still in BETA), visit our Forums at forums.comodo.com. The Comodo.com companies provide the infrastructure that is essential in enabling e-merchants, other Internet-connected companies, software companies, and individual consumers to interact and conduct business via the Internet safely and securely. The Comodo companies offer PKI SSL, Code Signing, Content Verification and Email Certificate; award winning PC Security software; Vulnerability Scanning services for PCI Compliance; secure e-mail and fax services.